Check out Amy and my latest article in Edible Nutmeg, “The Quintessence of Public Spirits,” about early colonial drinks. And try our easier and more edible version of flip. I was pleased to find this review of my latest book on Necromancy Never Pays, one of my favorite places to go for book recommendations. If you don’t have a copy get one here. Great Pan is Dead Released! My latest book is out - and I am especially proud of this one. Get your copy today! I was honored to be interviewed recently by Leslie Browning on The Vanguard about my novel Shadows of Paris and the struggles of being a writer. Listen here. Listen to my recent show on WLIS/WMRD with my friend Don DeCesare. Go to "on demand" on the main page, and click on "Quotable New Englander" on Best of the Valley. www.wliswmrd.net My wife’s show should be on soon! My appearance on CT-N. Great conversation after my presentation with lots of amazing revelations about America’s first celebrity. This is still my favorite book that I wrote. Braved the rain and wind along with 50 other people to go to the annual meeting of the Madison Land Trust. We discussed the ways people fall in love with nature and the land, and I pitched my ideas about connecting the state’s vast network of trails through a website or maps, partnering with bed and breakfasts and other businesses, and setting up a system by which we can bring in more tourists from outside, keep more people here for staycations, and create the conditions under which young people (and spry older folks) might fall in love with their home. 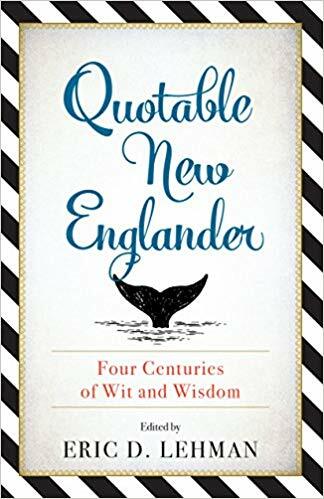 My latest book, the Quotable New Englander, has been released. Perfect gift for the holidays! Get some! 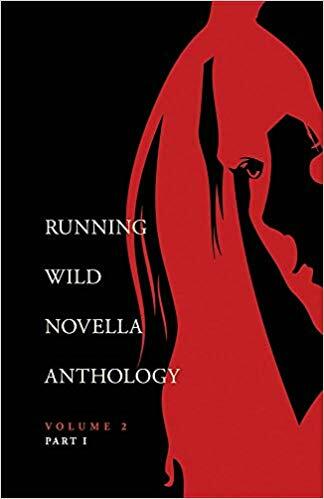 My novella, “Inside the Whale,” is part of this amazing new anthology by Running Wild Press. Get yourself a copy here. It is not about whales, but about cycling. Those who watch the Tour de France will understand the reference immediately. Aron Row at the Seattle Review has given my wife Amy’s amazing memoir five stars in the latest review. My latest article at Berfrois looks at the 400th anniversary of the Thirty Years War. Enjoy? Not really something to enjoy. More of a warning, I guess. Listen to the latest episode of Nutmeg Chatter as my brave and beautiful wife, Amy Nawrocki, speaks about her coma, and the amazing book that resulted from it. J. Timothy Quirk interviewing another Connecticut luminary (my wife Amy Nawrocki). 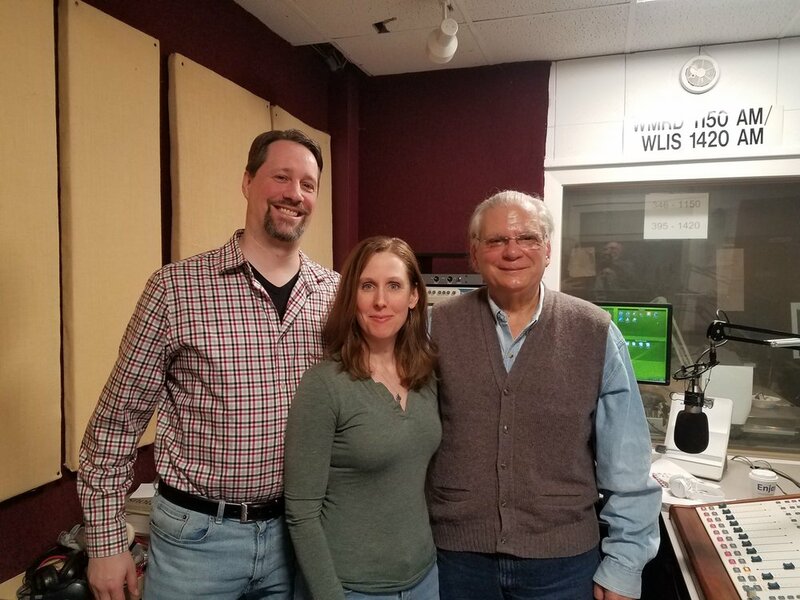 I was honored to be interviewed once again by J. Timothy Quirk on Nutmeg Chatter, which is broadcast on numerous radio stations and is available as a podcast here. 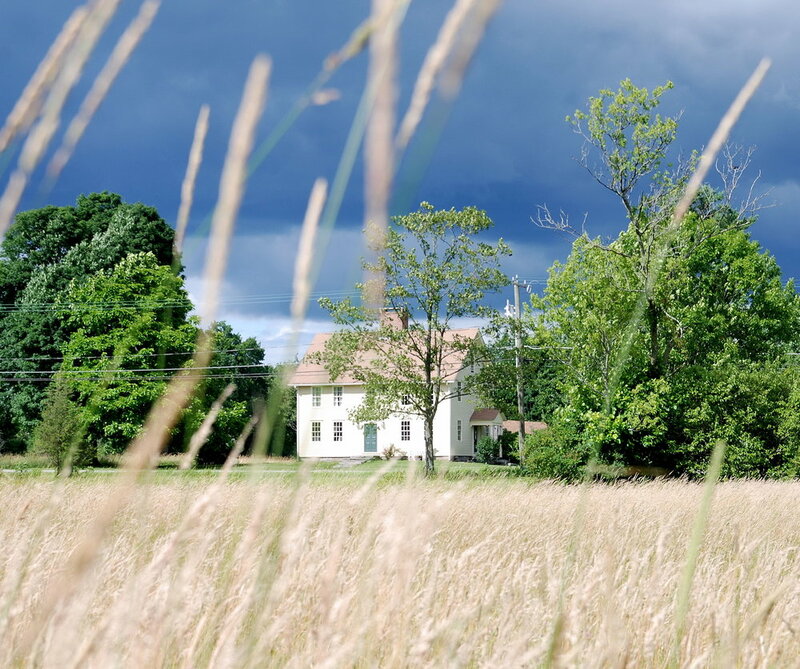 We discuss Oliver Ellsworth, Eli Whitney, Bun Lai, Prudence Crandall, Katharine Hepburn, and more of Connecticut's "vanguard." Well, my book Homegrown Terror was used in a Jeopardy question, but being interviewed and quoted by the History Channel website is also a big thrill. John Seven's latest article, "Why Did Benedict Arnold Betray America?" includes a good deal of my commentary on the subject. Photo of Les Halles Memorial by Lenina Libera, licensed on Creative Commons. My very personal elegy for Anthony Bourdain is up at Berfrois today. Check it out. My wife's amazing memoir, The Comet's Tail, was reviewed recently by New Pages. Check it out. Check out my short memoir piece, "Fool's Gold, Ocean City," in issue 7 of Embodied Effigies. Upon re-reading, I am very pleased with this! Check out the very extensive article by Pem McNerny in Zip06, the Shore News conglomerate. She does a great job reviewing and giving examples of Connecticut Vanguards. Come see me at RJ Julia this coming Wednesday. Check out the article in the latest Newtown Bee on my wife Amy Nawrocki's amazing memoir of her coma, The Comet's Tail. Excited to have an article on Town Greens appear in the Connecticut Post this weekend. Here is the web version.